Is this your first Christmas apart and are you really struggling with how to deal with it? Here’s some help. I separated from my partner at the beginning of this year. We were together for 10 years and have two children aged 8 and 6. My real problem is the fact that my partner and I were originally family friends and our families are really close. We normally get together over Christmas and my family (and his) expect us to carry on as normal. For the children’s sake, I’d love to do so and I could probably cope but for the fact that my ex has a new girlfriend and I’ve been told she’ll also be there. This is a very difficult time for you as Christmas is a very emotional time for families. 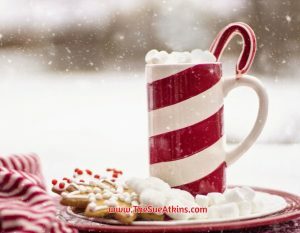 Over time you will create your own traditions, and ways to do things with your children that are unique and special to you and things will calm down, but your first Christmas is always a difficult and challenging time. What do you think is the best thing to do for your children at this time? What is the best thing to do for yourself at this time – truly the best thing? How can you nurture your own needs at this Christmas time so you don’t feel neglected, sidelined or lonely? Take some time to relax and replenish your energy – walk the dog, have a relaxing bath or read a book or do something where you feel totally relaxed and absorbed, as thoughts and good ideas often appear when we are relaxed. Who can you talk to that would help you feel heard, understood and supported but who could also help empower you with a good decision ? If a detached observer was observing the situation and offered kindly impartial advice – what would they say to you? I hope you feel clearer about a way forward and I hope you have a good Christmas. The post Is this your first Christmas apart and are you really struggling with how to deal with it? Here’s some help. appeared first on Sue Atkins The Parenting Coach.